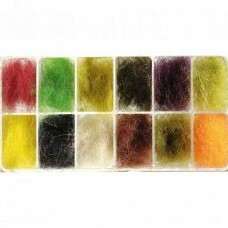 Fly Tying dubbing is one of the most required in all patterns, having them in a dispenser unit makes it so easy to have the right colour in , rather than purchasing umpteen packets it really is worth it. 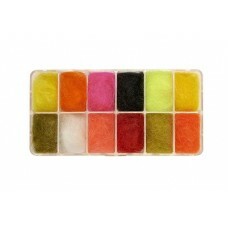 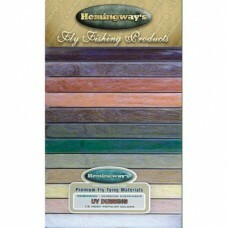 The fly tying dubbing dispensers contain a range of colours for you to select, they go a long way. 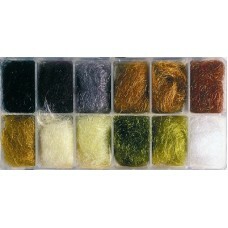 Antron Fly Tying Dubbing is a great value dubbing available in a choice of colours in this handy dis.. 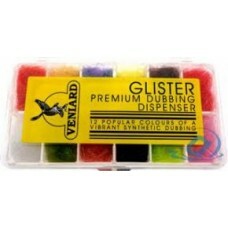 Seals fur is the most popular dubbing fur, here we have substitute fur in a handy dispenser with 12 ..
Glister sparkle fly tying dubbing is the best synthetic dubbing, flash and eye catching available in..
Hares Ear Fly Tying Dubbing in a handy dispenser box. 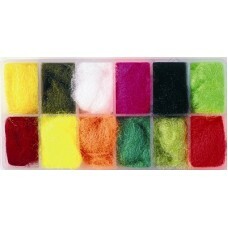 The Hares Ear Dubbing is perfect for a wide ra.. 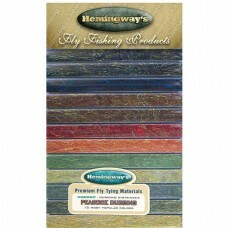 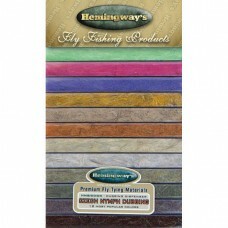 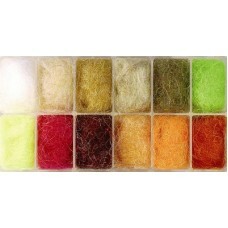 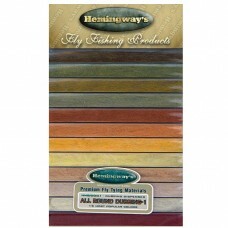 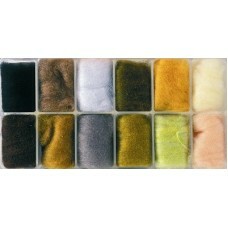 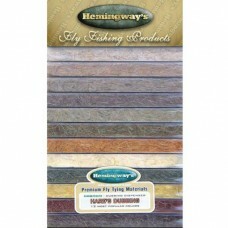 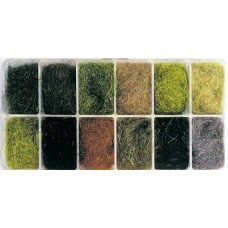 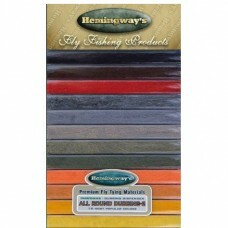 Seals fur fly tying dubbing, 90% of fly tyers consider Seals Fur the best natural dubbing. 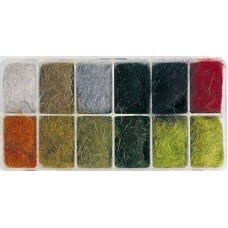 This hand..
A Brilliant Fly Tying Dubbing, 12 Colours created by Randall Kaufmann. 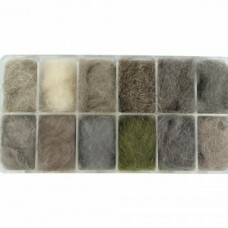 The Fly Tying Dubbing is in a..
Natural Fly Tying Dubbing fur dispenser. 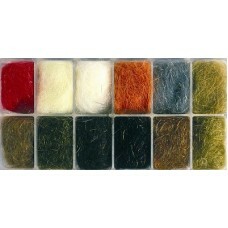 Contains Light Hares Mask, Dark Hares Mask, Olive Hares Mas..
12 Blended colours specifically designed for saltwater flies.Pearl, Sand, Tan Watery Olive, Smokey O..
Superfine fly tying dubbing is a permanently waterproofed extra fine material that makes really tigh..
SLF Fly Tying Dubbing from Veniards the first and most popular of the Synthetic fly tying dubbings. 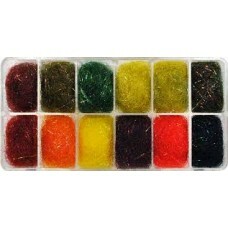 ..
Whitlock SLF fly tying dubbing boxesBox 1 (Mix 1) Scud & Shrimp Gray, Scud & Shrimp Olive, S..
Frankie McPhillips Irish Sparkle Dubbing Dispenser, fur dubbing with a subtle flash in Irish colours..
Squirrel fly tying dubbing in a handy dispenser box. 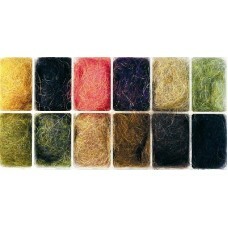 A good soft textured dubbing material and can b..